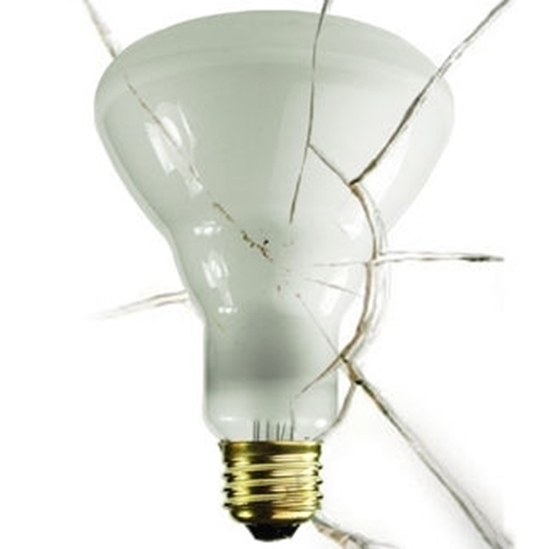 When safety is a concern, shatter resistant reflector light bulbs are the only option. These BR30 bulbs are silicone coated to prevent glass shards from contaminating food or creating other hazards. This bulb is equipped with a heavy-duty 130 volt filament, allowing it to last longer when operated at 120 volts. 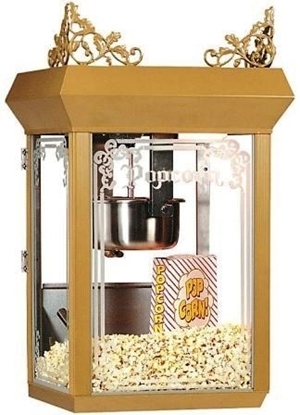 This is not a "heat lamp" bulb which would be too strong and dry out the popcorn! 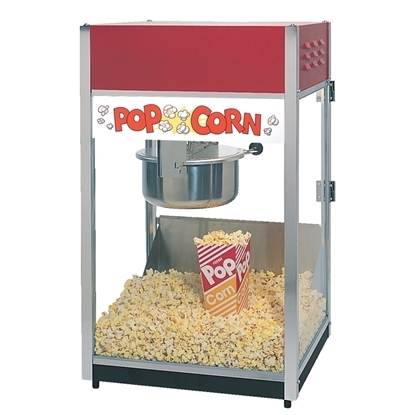 Complies with FDA CFR Food Code: Chapter 6 Section 202-11. Brand: Halco UPC: 807154440511 Voltage: 130 Base Type: Medium (E26) Diameter: 3.75 in. 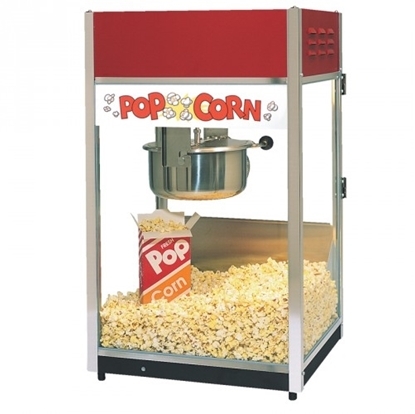 This is our best selling popcorn machine. A great buy, features our EZ Kleen stainless steel kettle which is removable for easy cleaning. New Auto Shutoff kettle. The show piece of all 6oz. 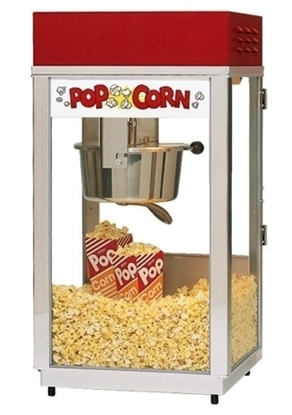 Deluxe Popcorn Machines. Charming antique style on the outside - heavy-duty motor, EZ Kleen Kettle, & twin arm suspension on the inside. 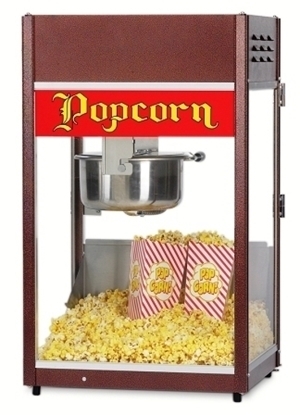 Popcorn scoop included. 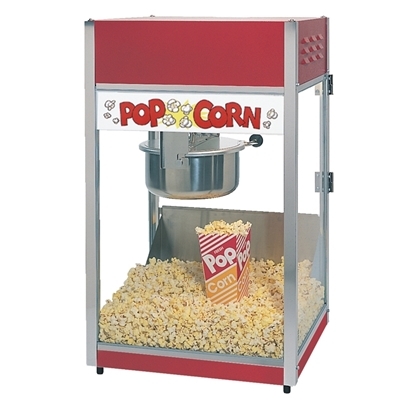 Best value for a popper with easily removable E-Z Kleen Kettle. Fast warm up! Heated Corn Deck! 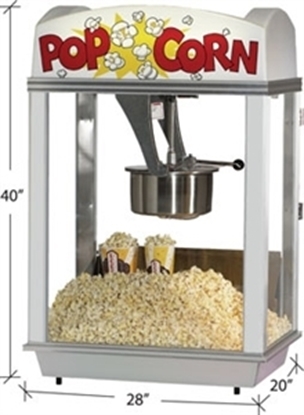 Popcorn scoop included with popper. A great buy! Features Gold Medal's EZ Kleen stainless steel kettle with Auto Shut Off feature. Thicker doors that hold up better under higher volume. Copper Vein powder coat paint finish.